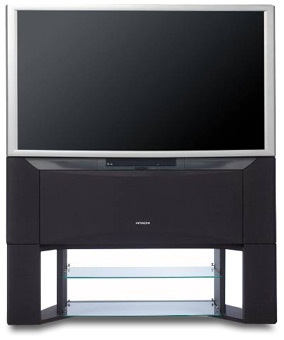 I’ve always wanted to have a PC that could serve as a media center, a Home Theater PC. The problem with most PCs is that they’re large, noisy and generate a fair ammount of heat. Another problem has traditionally been screen resolution. The best you could hope for on a traditional TV was something in the range of about 560 lines of horizontal resolution. This meant that the only setting that would work in Windows was 640×480 and it still didn’t look good. However, with the advent of HDTV we are now seeing relatively affordable screens hitting the market that can handle higher resolutions. After years of waiting and researching various models, I finally bought an HDTV monitor. 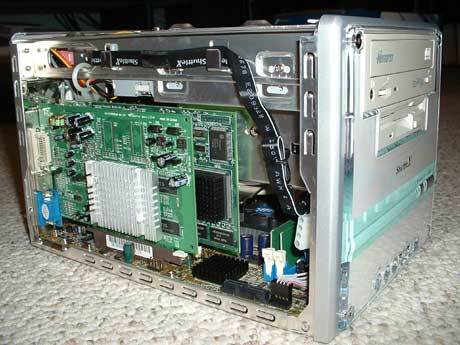 I chose the Hitachi 46F500 because of the price and feature set that includes a DVI input. For the PC case, I originally wanted to go with one that would be roughly the same size as most standard A/V components. (~17Wx5Hx15D) However, with few compelling designs, and also considering the restricted airflow within my component rack, I decided against that approach. I noticed the price on Small Form Factor PCs had been dropping rapidly as new models were coming out. 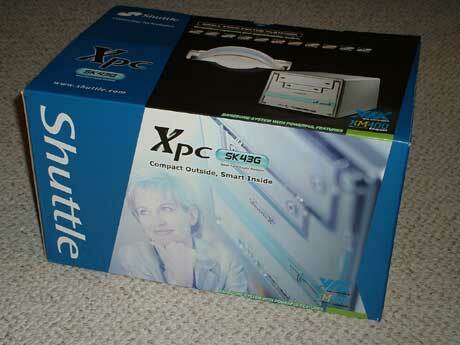 I found a great deal and decided to buy an AthlonXP-based Shuttle XPC. (SK43G) This model sports DDR-400, SATA-RAID, ATA-133, AGP8x and has built-in surround sound with optical I/O. It also happens to have looks that match well with my HDTV. I already had some components laying around from previous system upgrades. (AthlonXP 2100+, CDRW, floppy) In addition, I bought an ultra-quiet Samsung 80GB ATA-133 hard disk and a 512MB DDR-400 Dual-Channel memory kit from OC-Z. 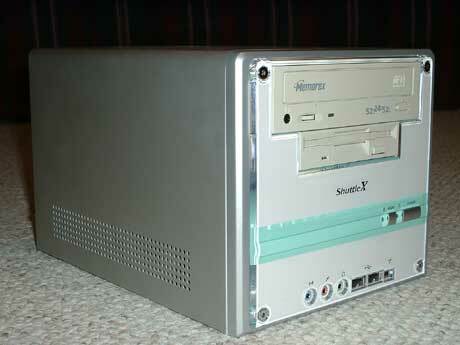 The SK43G comes with built-in video, but it’s VGA only, and not very good quality. 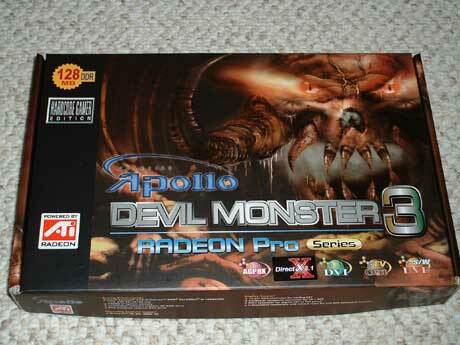 I added an inexpensive Radeon 9200SE from Apollo, and a WinTV-D tuner card from Haupauge. Needless to say, I was disappointed. However, it was my fault. I rushed to buy the WinTV-D card because it tuned OTA digital and HD. What I would’ve seen if I’d really looked around was that the WinTV-D doesn’t output HD, only DTV at 480p. (it tunes it, but then down-converts to 480p) It also only supports the old VFW (video for windows) system. Oh well, it was cheap and it works. All was not lost however as I found some software called SnapStream PVS on the included CDROM that has many of the same features as BeyondTV. 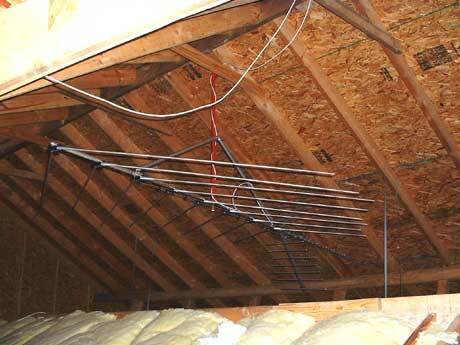 Since I didn’t have cable at the beginning of this project, (hey it saved me $90 bucks/month) I installed an HDTV rooftop antenna in my attic. (ChannelMaster 3020) To make sure everything was as clean and clear as possible, I also installed an 8-10db signal amplifier from Radio Shack. The setup worked well. Though I only get 2 digital channels perfectly, it has more to do with the highly directional nature of the antenna rather than the reciever. Overall, I’m happy with the way my project turned out. I’ve gone a bit over my original $400 budget, but not too much. For anyone else planning on doing something like this, I’d plan to spend at least $600 to do the job right. Also, ATI has an AIW (all-in-wonder) card with an HDTV tuner that should be out soon, if not already. This would be the perfect card for a project like this. 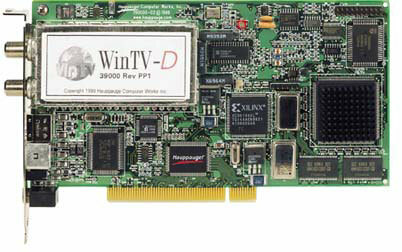 Not satisfied with the features of the WinTV-D card, I looked around and found a good deal on an ATI HDTV Wonder. While this is just a tuner card like the one before it, not getting the AIW saved some cash. The Radeon 9200SE originally bought for this project worked beautifully, but it didn’t have the ability to offload image processing for HD which put a much bigger load on the CPU. (The HDTV Wonder requires a directx 9 Radeon which means 9500 or better.) I happened to have a Radeon 9600 Pro in my gaming box at the time, and decided I would move it to the HTPC and give the gaming machine an upgrade. This greatly improved the HTPC’s performance which gave me a little more headroom for other tasks on the CPU. As I used the HTPC more, I realized very quickly that moving the giant attic antenna wasn’t going to be practical. I also had 2 other antennas, the “silver sensor” that came with the HDTV wonder and my powered RCA HD antenna. Attempting to array the powered antenna didn’t work well, but combining the signal of the Attic antenna and the silver sensor and then running them through the amplifier worked amazingly well. That little 10db amp made up for the loss of the combiner and I was suddenly able to pull in almost every channel. Last year I moved to a location with better reception and also decided to get cable. I still use the silver sensor with the 10db amp for HD reception. 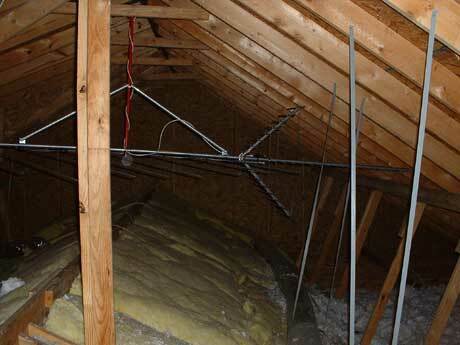 However, I haven’t had a need for the large antenna that was installed in the attic at the other house. I tried initially to see if I could tune any of the HD channels over cable, (it’s analog) but Comcast doesn’t appear to retransmit them on their analog service it didn’t work. My old SDTV blew up over the holidays and because BestBuy had a great deal on a 720p flat panel LCD (it does 1080i, but the panel is 720p) I picked one up. As it turns out, Comcast does indeed retransmit the broadcast digital channels. It would appear that the ATI card doesn’t properly support QAM. Perhaps this will be fixed in a future driver release, but I’m not holding my breath.